I spent my last semester in the beautiful city of Copenhagen, Denmark. I was very excited for the pastries, beautiful scenery and trying the Nordic cuisine. Little did I know how much their sustainability values would amaze me! Through the cold winter, gloomy days, and dark nights – the Danes continued to implement sustainable initiatives. Denmark’s goal is to produce enough renewable energy to cover its total energy consumption by 2050. Impressive! 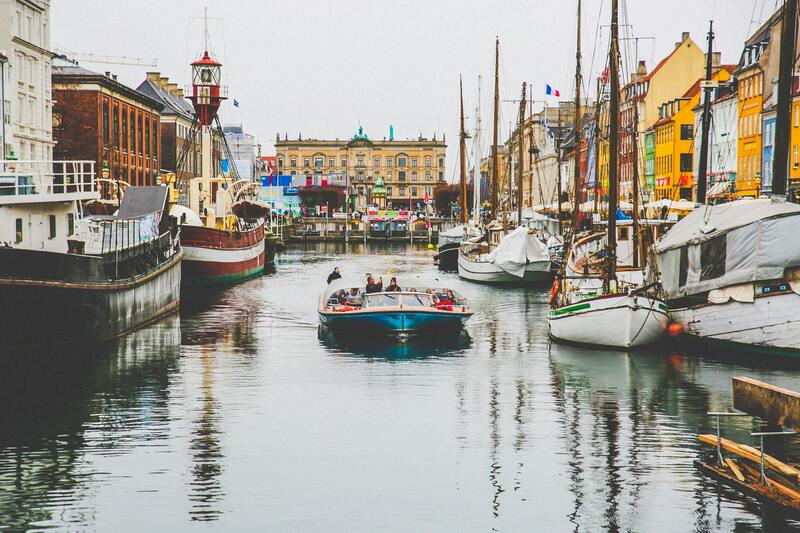 Denmark prides itself on honing the best companies and creators of technology in the world. As part of my core course, we visited various types of companies in Denmark to understand business strategies in different industries. After visiting some of the larger companies and examining their corporate cultures, it was evident that sustainability was a big part of their business models. A lot of their energy sources depended on wind and solar power. This value system holds true among the population as well. From toddlers on tricycles to businessmen in suits and old retired couples buying groceries, Denmark is a haven for cyclists. With over 390 kilometers of designated bike lanes, it was no surprise that Copenhagen is officially the first Bike City in the world. Last year it was voted as the “Best city for cyclists” and the “World’s Most Livable City.” The air is fresh, there’s light traffic on the roads, and the population is healthy and happy! I was fascinated by how committed Copenhagen is to their sustainability goals. To achieve their emissions reduction goal, the country aims to reach a 40% reduction by 2030, and is expected to achieve that rate in certain sectors by 2020. 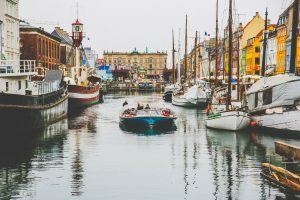 Because of their commitment, Copenhagen has been chosen as the host of the C40 Mayors Summit where delegates from nearly 100 cities around the world will meet to discuss strategies to achieve the goals of the Paris Agreement and limit CO2 emissions. My personal experience and further research has reinforced my belief that as a community at Tufts we can come together to make our space a cleaner, greener, and healthier one. The biking culture is such a great way to stay healthy and environmentally friendly. An emphasis on using public transport (which is so efficient in Denmark, too!) is another way to stay on track. I highly recommend studying abroad in Copenhagen. It is a great way to experience a new culture of tremendous environmental commitment first hand! Stressed about finals? Excited about winter break? Procrastinating moving out? Have no fear! Follow our tips and tricks to handle your end-of-year stress in the most efficient and sustainable way! Heaters use up a lot of energy. While we don’t encourage anyone to freeze in their rooms, remember to be conscious of how high your heat is turned up. 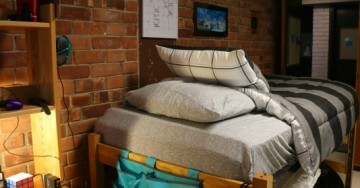 Often times wearing a sweater or warmer clothes can help keep your dorm heating low while allowing you to be warm and cozy. Remember to shut all windows when you move out so that heat doesn’t escape the room. This helps save energy and money! Leave your heat setting to no.1- not on the snowflake- so the pipes don’t freeze. If your windows don’t close, be sure to put in a work order request before you leave! Electronics and power cords run the risk of short circuiting or fuse bursting if left plugged in. Avoid any possibilities of mishaps and unplug all power chords and cables from sockets. Your mini-fridges can often get moldy and smelly if left shut and unplugged for a long time. Don’t forget to keep your fridge door open with a towel underneath to catch the melting ice. Finals are stressful. Often times we don’t want to take a second look at our books after we are done. If you already plan to get rid of your leftover paper, books, pens, and other materials, donate them. Someone else could benefit from your donations, and so will the environment! Finals season calls for higher doses of caffeine and late-night snacks. If you are an avid beverage drinker, be mindful of the waste you generate. Reusable coffee mugs are a great way to reduce the number of visits you make to the trashcan. While you enjoy snacks, and stock up on them in your dorms, composting leftovers is an effective way to dispose of your waste rather than throwing it in bins. Find composting tips and tricks from Facilities Services. Exchanging presents and goodies is a tradition for a lot of people this season. However, wrapping paper wastes a lot of plastic and is harmful to the environment. Get creative instead; wrap your presents in newspapers that are self-painted or designed. Your loved ones will appreciate the personal touch, and the environment will also be smiling! The Office of Sustainability wishes everyone speedy finals and happy holidays! Remember to do your part in keeping your surroundings clean, green, and healthy. Opening my acceptance email to the DIS Copenhagen program was filled with squeals of excitement and happiness. A new city. A new culture. A new experience. I was ready. But what about sustainability efforts abroad? 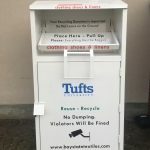 Tufts University does a fantastic job with their sustainability-related works on campus, and for the surrounding community. Here at Tufts we are constantly engaging in initiatives, organizing events, and highlighting content that builds awareness around our sustainability initiatives. Involving myself in sustainable initiatives and opportunities is an important factor for consideration during my semester abroad. I asked myself, How can one study abroad sustainably? Learning how to bike: every time I tried to cycle as a child, I ended up with multiple bruises and cuts. This year, I am going to commit to learning how to bike the right way! Using public transport: reducing gas emissions can reduce your carbon footprint. The public transport in and around Denmark is supposed to be really accessible, so it will be a great way for me to get around. Take part in sustainability initiatives: I plan to visit offshore windmill parks, heating plants, and urban gardens. Reform my food habits: learning how to eat like the locals, incorporate composting into my routine, reduce my meat consumption, and use reusable water bottles are more ways to do my part to reduce my impact while abroad. In a city that has so much to offer, I want to make the most of this opportunity. I can learn about new sustainability methods to bring back to Tufts and ways to improve my own habits. If you are looking for study-abroad programs that prioritize sustainability, find a list of program options here! Massachusetts has regulations in place that bans certain electronic waste (e-waste) from landfills. Surprisingly, e-waste makes up almost 70% of the trash found in dumpsters- even though most of it can be recycled! Tufts University is constantly striving towards improving sustainability efforts on campus. 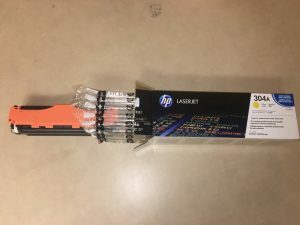 The University has thus partnered with Allied Computer Brokers, Inc. to help students, faculty, and the community better recycle electronic waste. From small battery powered devices to cell phones, chargers, cables, and computer parts- get rid of your excess e-waste the right way. Look out for the bins located all over the Medford, Boston, and Grafton campus. You can also refer to the Tufts Eco Map for accurate destinations. Faculty members can expedite the process by filling out a work order form and have it picked up. Refer to the Facilities Services Recycling and Waste Management Page for more details. According to Bay State Textiles, almost 21 billion pounds of textiles are thrown away every year in the United States; however, 95% of the textiles discarded can be recycled, and 45% of recycled textiles can be reused. This year, committing to reducing your carbon footprint and helping those in need from campus just got even simpler. Donate your old clothes, shoes, sheets, towels, backpacks, and other approved items to the textile recycling stations around campus. 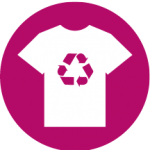 Look out for the sweater icon on our Eco Map to find the closest textile recycling station near you!